The Ravens’ defense will look considerably different in 2019. While C.J. 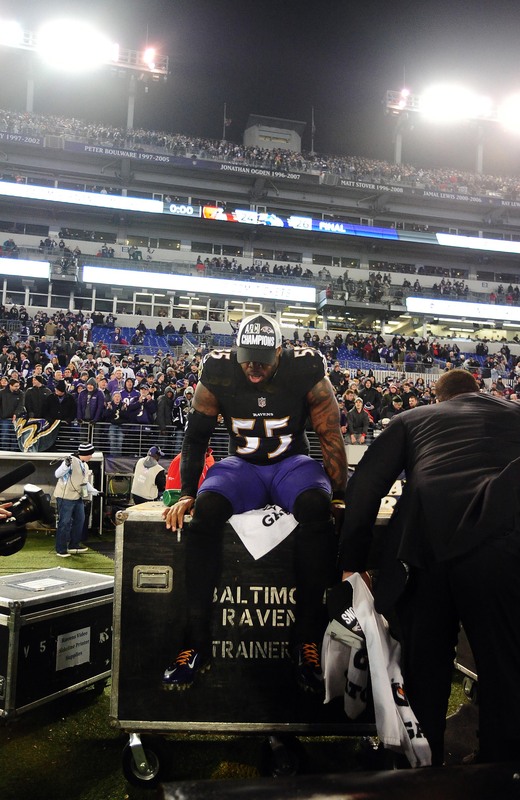 Mosley and Eric Weddle helped anchor the past few units, Terrell Suggs was a cornerstone Raven for more than 15 years. Suggs departed Baltimore for Arizona, where he grew up and played in college. But had Ozzie Newsome not followed through with the plan of stepping down as Ravens GM, Suggs said he would probably have re-signed with Baltimore. Newsome’s exit strategy became official in February 2018. Longtime lieutenant Eric DeCosta is now running the Ravens’ front office. New starters will take their places on the 2019 Ravens’ defense. Mosley had started on the past five Baltimore defenses, Weddle the past three. Suggs said he had considered this move for a while and added that the Ravens’ decisions on other veteran stalwarts this offseason affected his choice. Although news of Mosley’s Jets agreement did not emerge until after Suggs decided to leave, the Ravens opted to let the off-ball linebacker test the market. The 36-year-old edge defender signed a one-year, $10MM deal with the Cardinals. He initially caught Newsome’s attention while playing at Arizona State in the early 2000s. I’m glad he headed west. Wise move but the Cards aren’t doing much better, even if they get Murray. Or in other words, ” I knew Ozzie’s pattern of overpaying faded veteran talent was coming to an end so I got out before it appeared I was out of a job there “. Sorry Sizzle but as a long time Ravens fan, we will always love you as a Raven, but watching you run out of gas by November each year just wasn’t worth 10M. Suggs will never be confused for a smart guy. Smart enough to stack up millions of dollars and keep his body right for 15 years in the NFL. Not a Ravens fan but it bothers me to see fans in Baltimore bad mouthing Flacco and Suggs. Maybe these people will enjoy the talent the Orioles have more, but I doubt it.